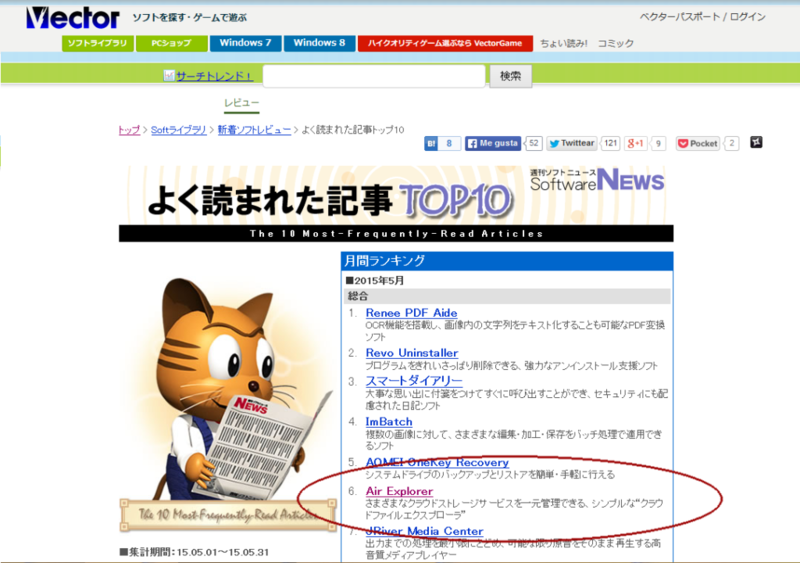 The review of Air Explorer is ranked TOP10 popular articles in May 2015 on the website Vector. 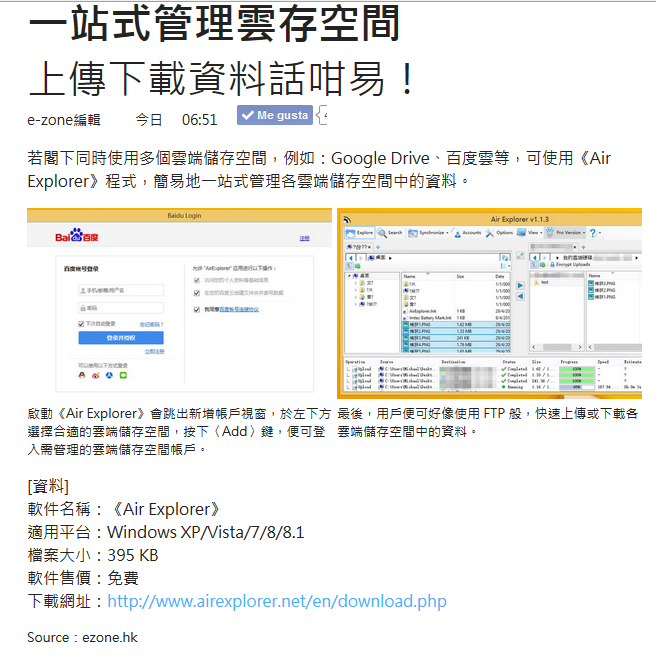 Air Explorer has been reviwed by E-zone, a Hong Kong web site. 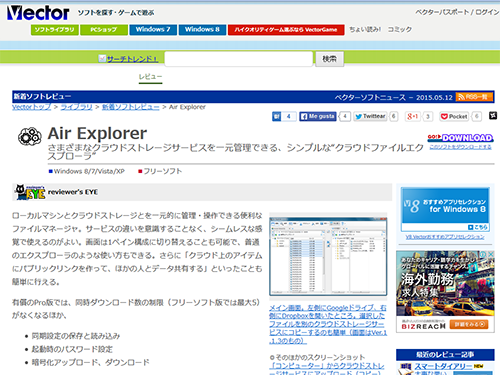 Air Explorer has been reviwed by Vector, a relevant japanese web page.